Members of the Guernsey Ex-Service Men’s Club have raised £2000 for the St John Emergency Ambulance Service appeal for a new ambulance. The cheque for £2000 was presented to Station Officer Stuart Malley by Kerry Le Poidevin and Peter Sarre at the weekend. The money was raised at their Christmas Raffle in December. 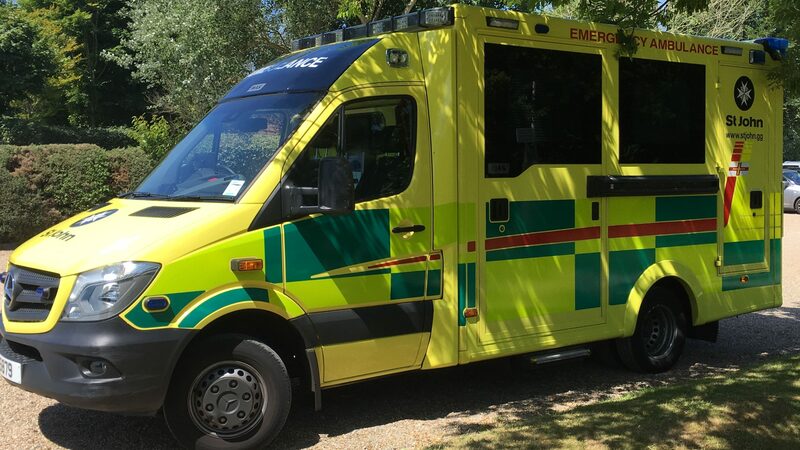 The order for the new emergency ambulance has been placed and the new vehicle is due be operational in the spring.